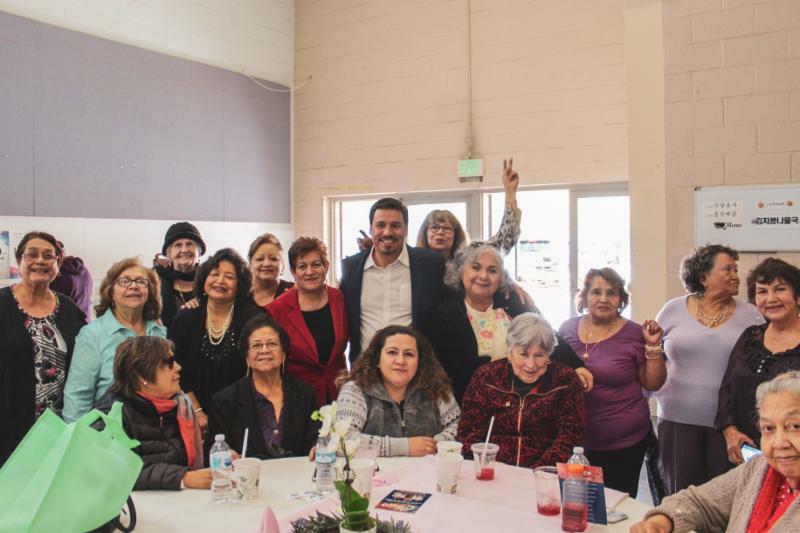 In March, we worked on investing in the youth of our City through policy and education, honored CD14 seniors and our Pioneer Woman of the Year, introduced a resolution to support a State bill for more Exide cleanup funding, and expanded DASH service across the City. Our kids are our most precious resource and we need to have an established forum to help them secure educational, job and youth-program opportunities that will help them now and in the future. The youth development motion I first introduced with Councilwoman Rodriguez was unanimously adopted by the City Council this month and we are awaiting a report on how the City can best serve our future leaders: our children. A new report highlighted the progress the City has made in building Measure HHH supportive housing units for those experiencing homelessness. In 2018, the full City Council pledged to approve at least 222 units of supportive housing every three years and CD14 proudly leads the City with 816 units approved – that’s 594 units over the goal. Although CD14 has the most HHH units, there’s still more work to do. This month, the City Council approved $240 million in funding for 24 Measure HHH projects throughout the City, including seven sites in CD14. Exide, whose actions and lax oversight by a state agency, led to what will be the largest contamination cleanup in California history, is the environmental injustice poster child for how low-income communities are unfairly affected by such uses. This month I introduced a resolution supporting a bill (AB142) by State Assemblymember Cristina Garcia that will generate more funds to clean up this catastrophe – something residents in those affected communities, including Boyle Heights, desperately need and deserve. 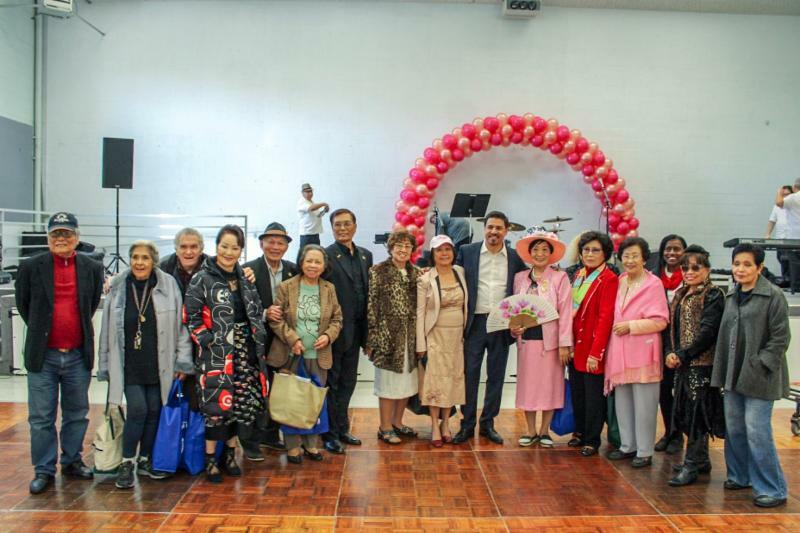 In March we also honored our CD14 seniors, treasures of our community, with our 12th annual Senior Snowball. 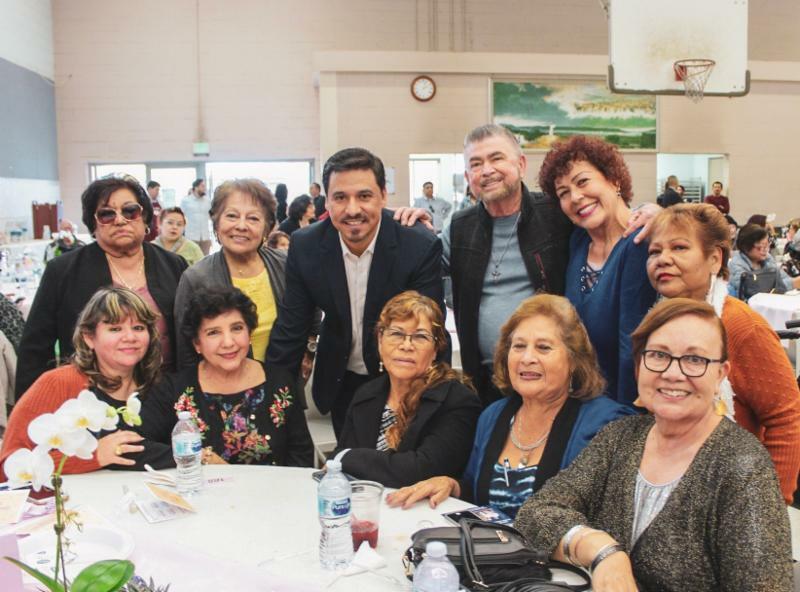 Seniors from Northeast LA, El Sereno, Boyle Heights and Downtown LA had a great time dining, dancing and socializing with each other and CD14 staff. We also celebrated International Women’s Day by honoring our CD14 Pioneer Woman of the Year, Georgia Berkovich. Georgia’s recovery from drug addiction is inspiring to many. She is both a survivor and an advocate for survivors. She is the Director of Public Affairs at Midnight Mission, which helped her get back on track after years of addiction. Along with our policy work aimed at investing in our youth, this month we empowered CD14 kids through education. Our El Sereno Field Staff visited Farmdale, El Sereno and Multnomah Elementary schools to celebrate “Read Across America Day.” In Boyle Heights and DTLA, we partnered with the Los Angeles Conservancy to teach students at Euclid Avenue and Ninth Street Elementary schools about Broadway’s historic past. And as a champion of multi-modal transportation options, I’m happy to report that the City’s DASH service is extending service on all lines and creating a new route in Boyle Heights. This first mile/last mile service is an effective and inexpensive way to travel throughout CD14 and the City. Please read below for these updates and more, and as always, let us know your thoughts. Thank you. 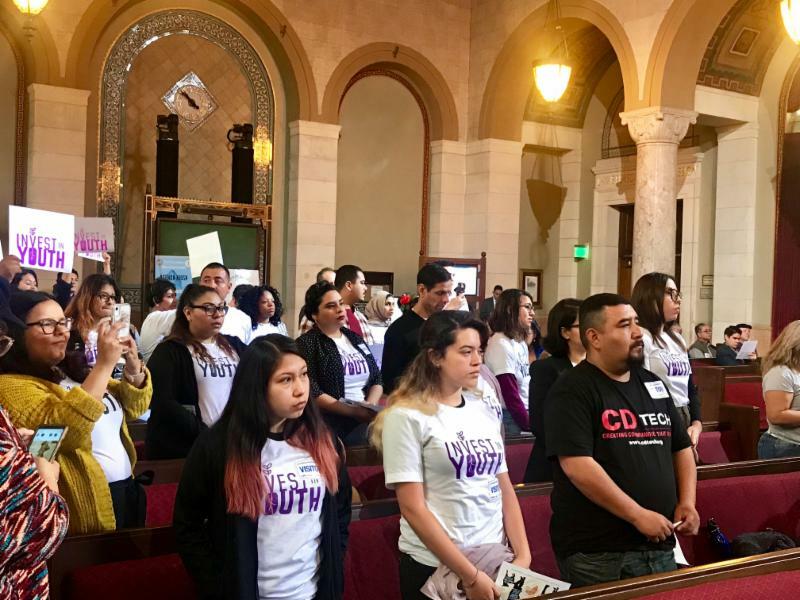 This month, the Los Angeles City Council voted unanimously to move forward with a motion, first introduced by Councilmember Huizar and Councilwoman Rodriguez, calling for the creation of an Executive Task Force on Youth Development, which will create a citywide Youth Development Strategy. Additionally, the City Council instructed City staff to report back on the recently released comprehensive assessment Councilmember Huizar requested detailing the amount spent and number of youth served citywide by our various departments. The young people who came to City Council to advocate for an official City of L.A. Youth Development strategy are the best example of how high they can soar. Thanks and congratulations to the Invest in Youth Coalition including Legacy LA, Big Citizen Hub, LA Voice, Advancement Project, East Los Angeles Women’s Center, Alliance for California Traditional Arts, Self Help Graphic, Casa 0101, East LA Community Corporation and Company of Angels! In March 2018, the Los Angeles City Council pledged to support a minimum of 222 units of supportive housing in each Council District by July 1, 2020. One year later, CD14 leads the City in Measure HHH housing with 816 units of supportive housing approved – 594 units over the goal. Councilmember Huizar has been a staunch supporter of providing housing, with supportive services, to assist those experiencing homelessness. It is important that supportive housing be provided throughout the City. This March, the City Council approved $240 million in funding for 24 Measure HHH projects throughout the City to assist those experiencing homelessness, including seven sites in CD14. 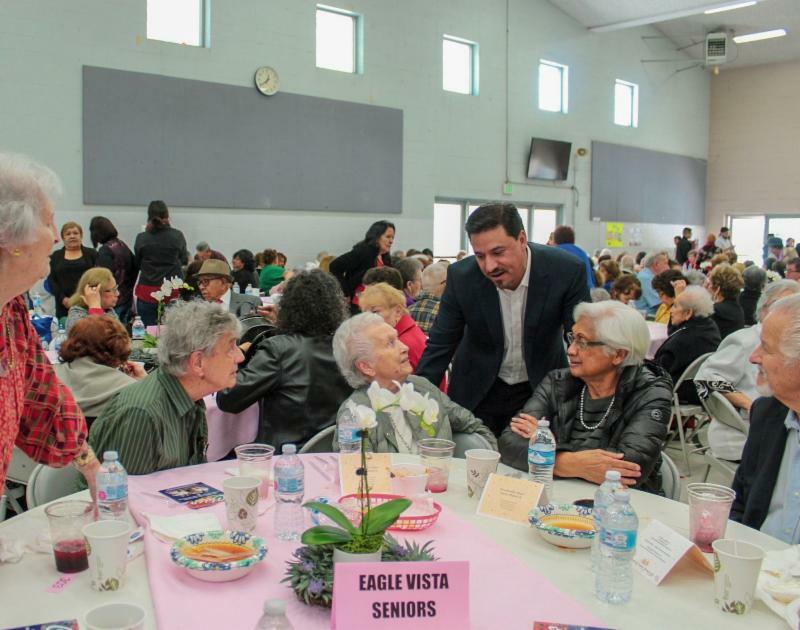 Councilmember Huizar hosted 400 seniors from CD14 for the 12th Annual Senior Snowball. This event celebrates the contributions our seniors have made to make our community and city a better place for all. Seniors from across the district represented Boyle Heights (top photo), El Sereno (second photo), Northeast LA (third photo) and DTLA (bottom photo) well! 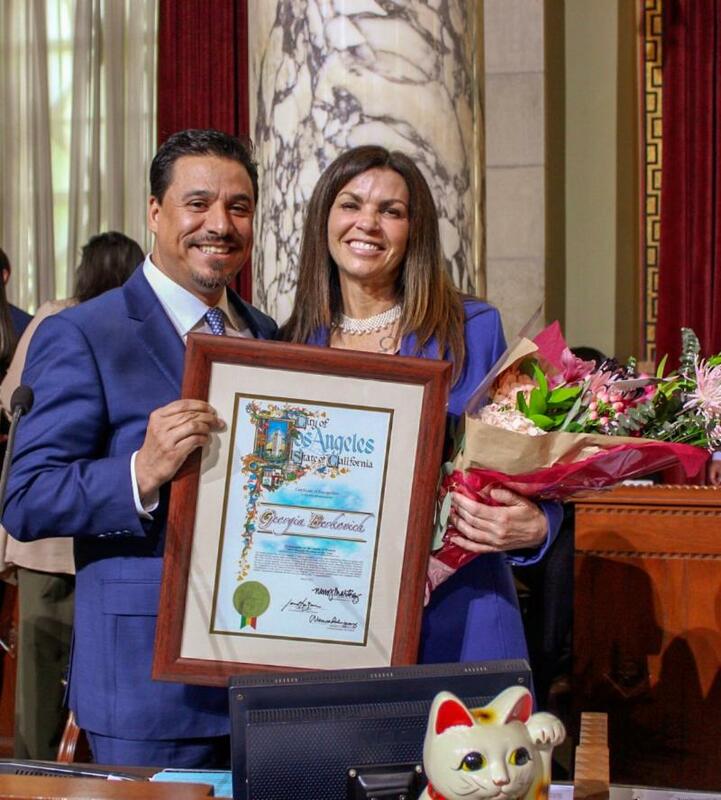 On International Women’s Day (March 8) Councilmember Huizar honored Georgia Berkovich as CD14’s Pioneer Woman of 2019! Georgia is both a survivor and an advocate for survivors. She is the Director of Public Affairs at Midnight Mission, which helped her get back on track after years of addiction. Today, she helps many of our homeless neighbors get on a path to recovery. Two hundred students from Euclid Ave. Elementary in Boyle Heights and Ninth St. 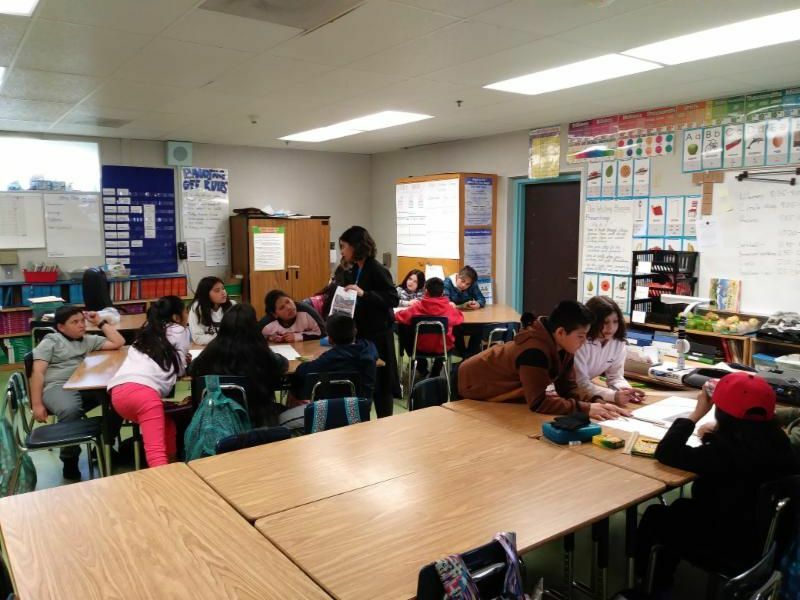 Elementary in DTLA participated in an L.A. Conservancy workshop about Downtown LA’s Broadway. 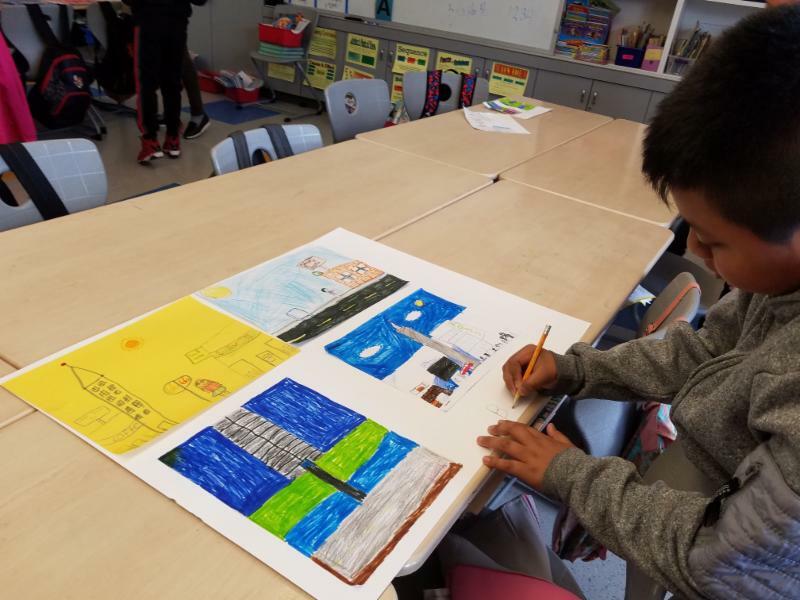 Community partners supported students on a collaborative art project in which each classroom created art relating to one topic explored in the workshop. Topics included Broadway’s beginnings, Entertainment Era of Broadway, Latin Era of Broadway, Streetscapes, People of Broadway today, Architecture of Broadway, and Historic Buildings and Theaters. The kids learned a lot about L.A.’s rich culture. Thank you L.A. Conservancy and our volunteers for a job well done! 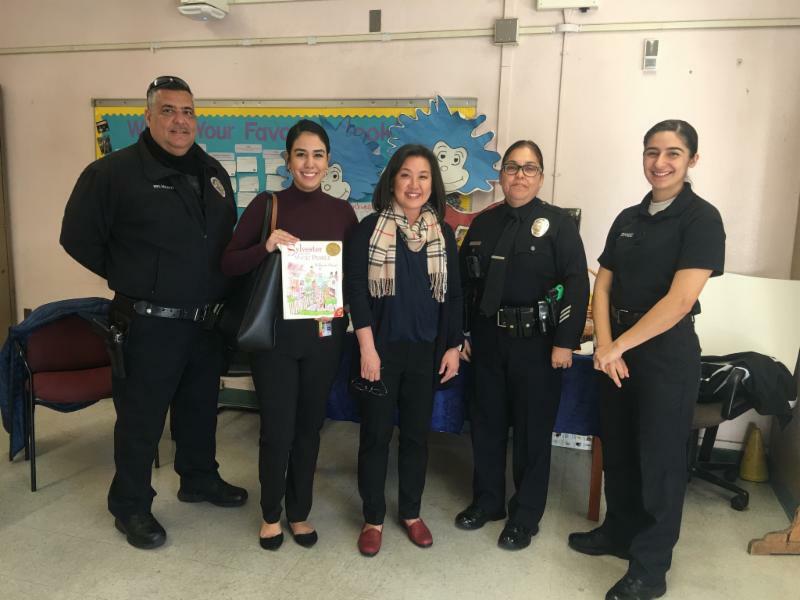 El Sereno Elementary School Principal Mrs. Asavasopon invited Council District 14 to attend the Read Across America event at their school, giving CD14 the opportunity to read to our future leaders along with LAPD Officers and Cadets! Thank you El Sereno Elementary for the opportunity! 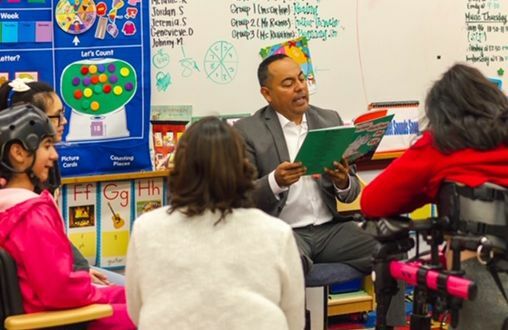 El Sereno senior staffers Julio Torres and Susana Lopez also read to students at Farmdale and Multnomah elementary schools and were happy to participate in such an amazing event! With existing law placing a $1 California Battery Fee for each purchase of a replacement lead-acid battery from retailers, Assemblywoman Cristina Garcia’s Assembly Bill 142 will increase the fee to $2 on April 1, 2022. Funds from will be used by the State’s Department of Toxic Substances Control (DTSC) for the investigation, site evaluation, cleanup, removal, monitoring or other response actions at any area in the state that may have been contaminated by the operation of a lead-acid battery recycling facility. 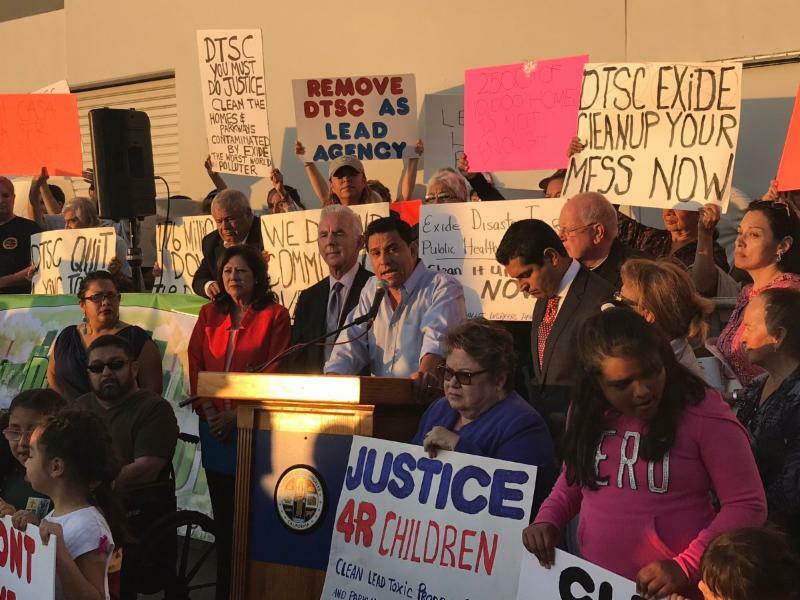 Councilmember Huizar introduced a City of Los Angeles resolution supporting the bill and its efforts to pay for cleanup activities in contaminated communities, including Boyle Heights, and fix this long-standing environmental injustice. On Thursday, April 11, join CD14 and community groups for a free screening of “Plume: The LA Exide Contamination” by Boyle Heights resident Terry Cano at Resurrection Church at 6 p.m. Following the screenings, there will be a discussion with James Dalhgren MD and other health experts. 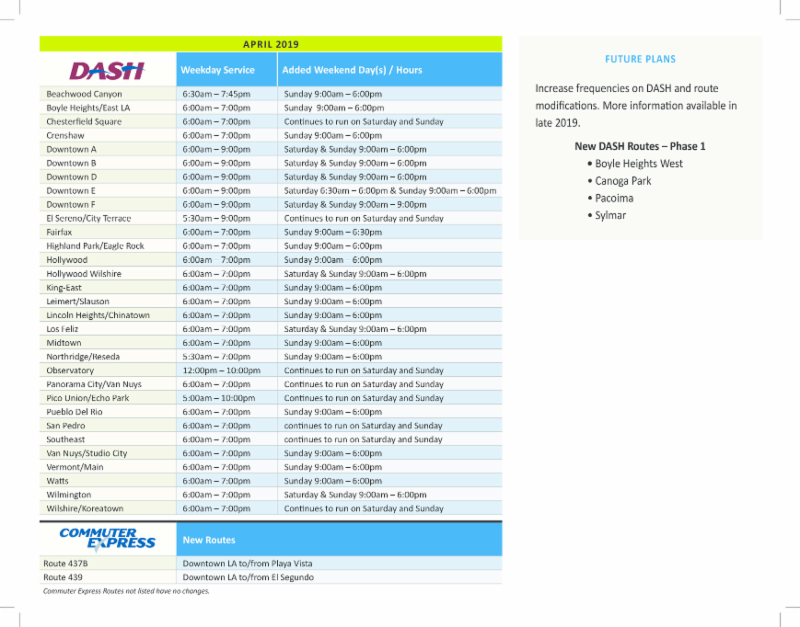 The City’s DASH service provides essential first/last mile access and local mobility, particularly for low-income residents, youth, and older adults. City Council approved funding for extended service and new DASH routes, including one in Boyle Heights. DASH Downtown has service until 9 p.m. on weekdays. Routes in Boyle Heights, El Sereno, Highland Park and Eagle Rock have earlier weekday service. All routes now have weekend service. While on duty from the Hollywood Division, Officer Gabriel Acosta was hit by a driver and suffered injuries that led to his death. A 15-year LADOT officer, Acosta was remembered for his generosity and warm smile, his love and commitment to his family, as well as his love for his job. 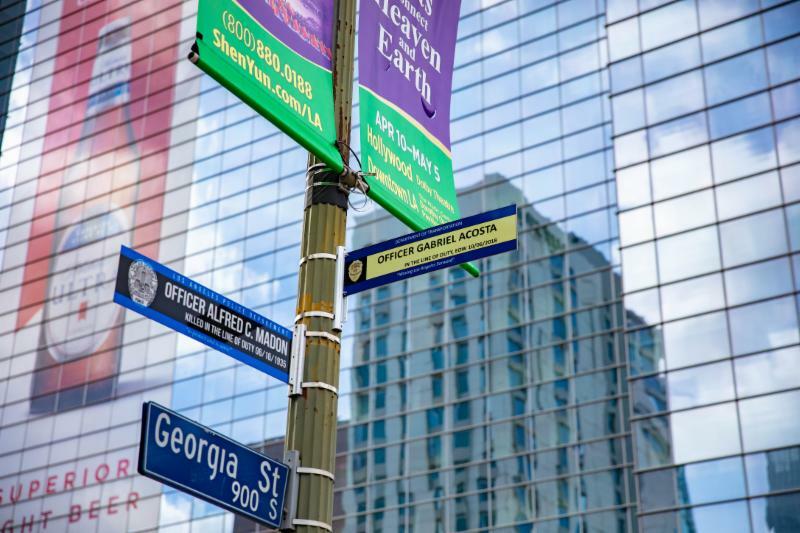 This month, a street sign was placed in Downtown LA to remember Officer Acosta’s life and legacy. 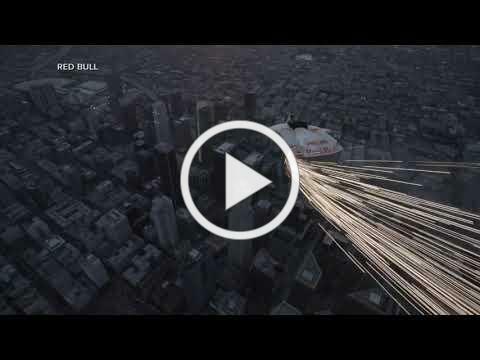 InterContinental Los Angeles Downtown joined forces with Red Bull and its Red Bull Air Force team to celebrate the last super-moon of the decade with an epic “human flight.” This event marked the first ever wingsuit jump into downtown Los Angeles. 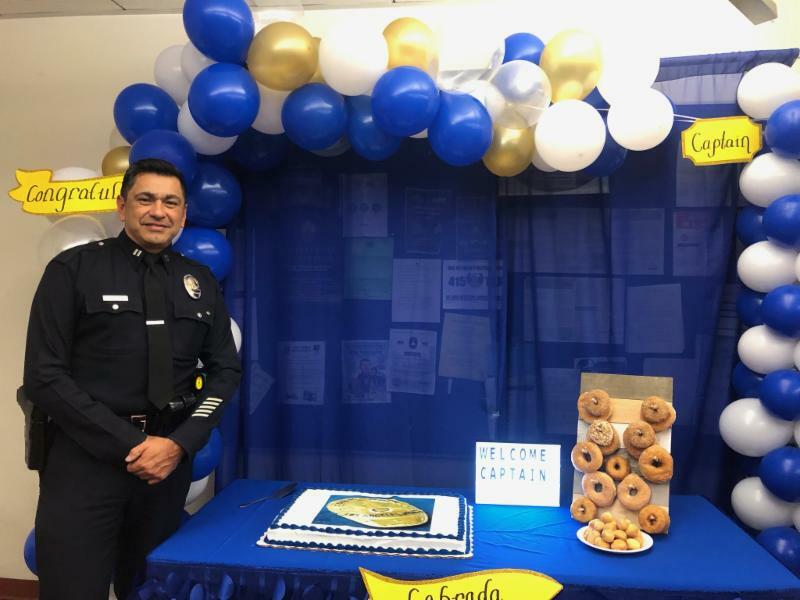 Huge thank you to Captain Labrada for two years of outstanding service at our Hollenbeck Division where he went above and beyond in coming up with creative strategies to engage and work with the community. Thank you “Commander Labrada” and best wishes in the South Bureau as Commander! 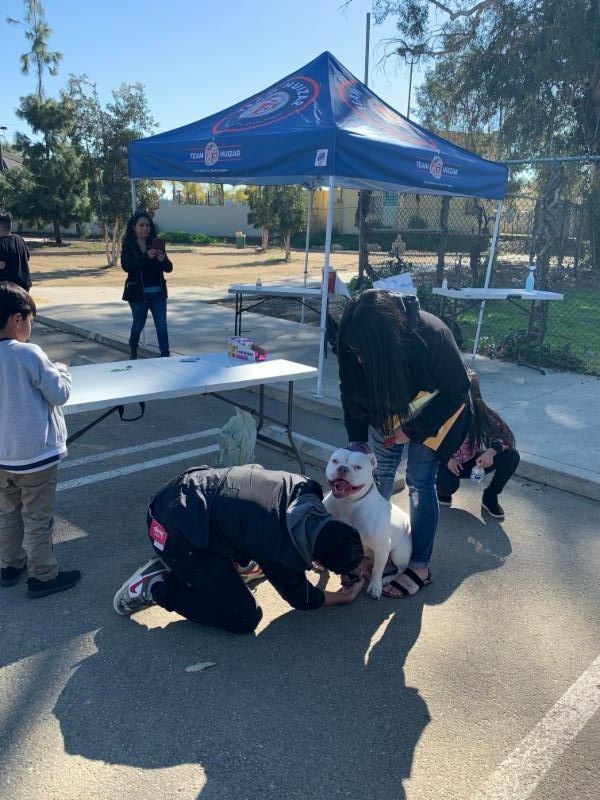 A very big thank you to the Pets First Foundation for vaccinating and microchipping more than 130 dogs and cats at low and discounted prices at our Highland “Bark ” Senior Center! 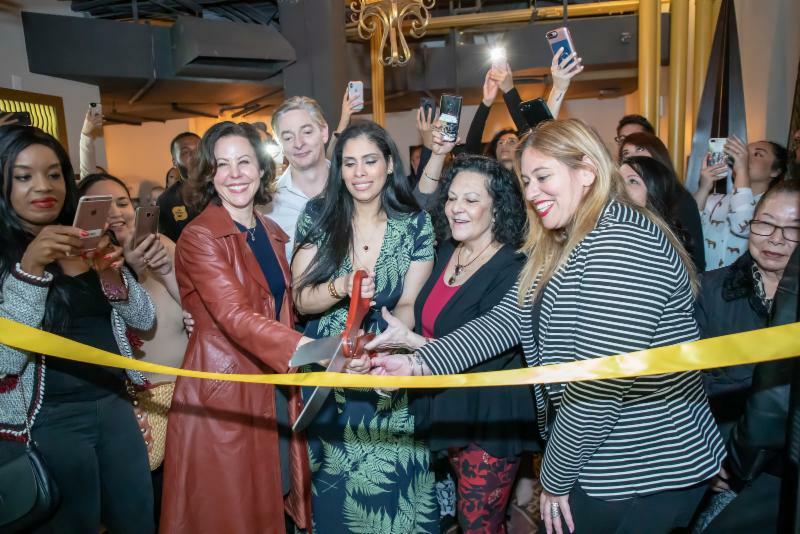 Councilmember Huizar’s DTLA Field Team joined Blair Besten, Downtown Historic Core BID Executive Director, and Patti Berman, DLANC President, to present a Certificate of Recognition to celebrate Desuar Spa’s first year at their 5 th Street location. Congratulations on this milestone and thank you for offering Angelenos a place to relax and unwind in Downtown! 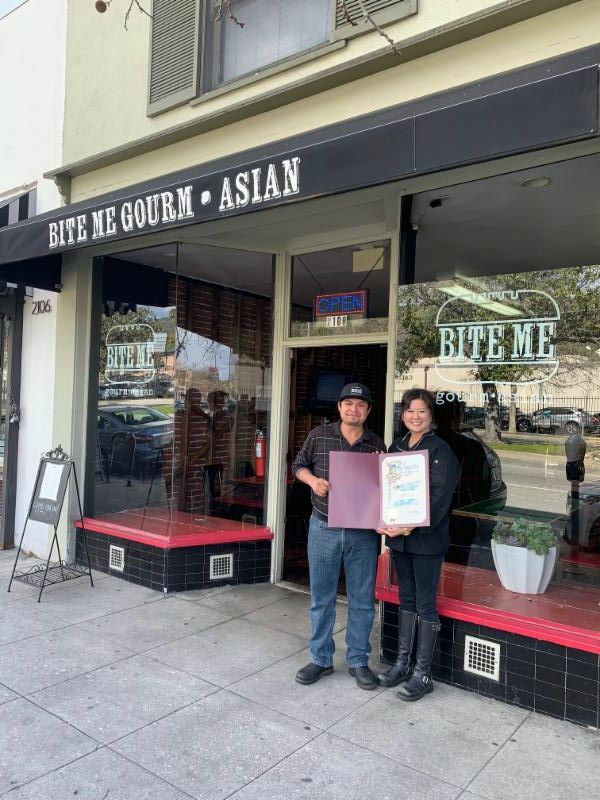 Congratulations to Bite Me Gourm•Asian on opening up their new restaurant in Eagle Rock! Councilmember Huizar and CD14 wish them many prosperous years of serving delicious meals to the local community! Stop by 2108 Colorado Boulevard and welcome this new business to CD14! 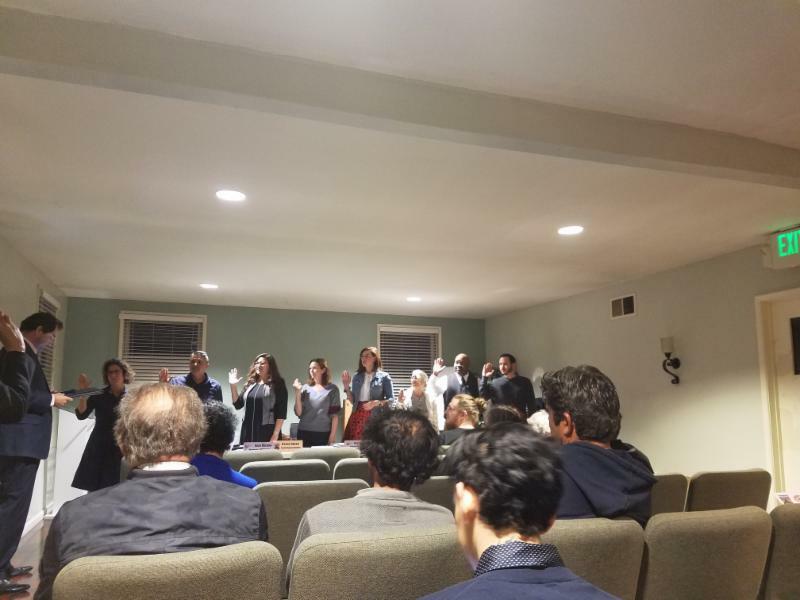 Councilmember Huizar’s El Sereno Field Office helped welcome in new board members to the Hermon Neighborhood Council. Congratulations to the new members and a big thank you to the out-going members who did a fantastic job serving their community! 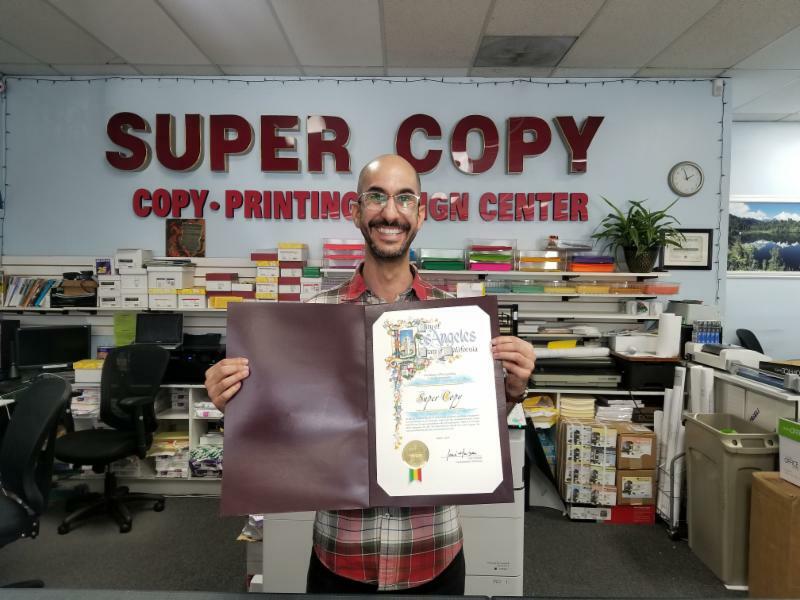 A big shout out to match the big smiles at the Eagle Rock Super Copy! Thank you for providing quality printing and stationary to the residents of Northeast LA. 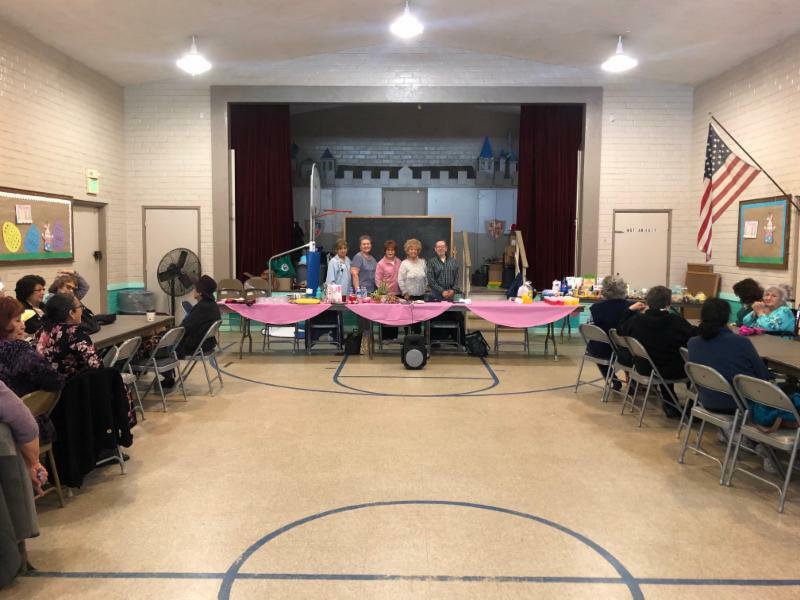 The El Sereno Field Office helped assist the Rose Hills Senior Center in the installation of their incoming Board of Directors. Thanks to our previous board and congratulations to the new president, vice president and recording secretary!